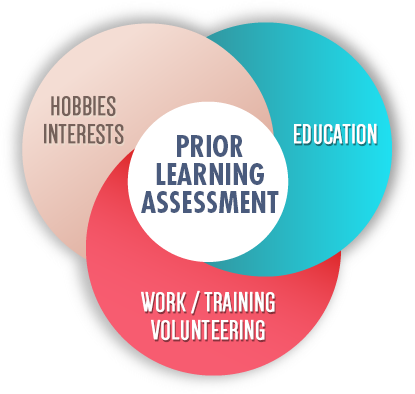 Prior Learning Assessment (PLA) refers to different methods of assessing knowledge acquired outside traditional academic settings. This includes knowledge and expertise developed through work, professional and military training, volunteering and through hobbies and other interests. Adult learners and nontraditional students most commonly possess college-level knowledge that they have acquired throughout their lives. PLA is the evaluation and assessment of an individual's life-long learning for college credit, certification, or advanced standing toward further education or training. The process of PLA has repeatedly been proven to be academically sound and beneficial to students after many years of national implementation and review. According to the study, Fueling the Race to Postsecondary Success, conducted by Council for Adult and Experiential Learning, which examined the outcomes of 62,475 students from 48 colleges and universities, learners who earned credit through PLA had higher graduation rates and persistence than did students who did not earn credit through PLA. For example, the study found that 56 percent of students who used PLA earned a postsecondary degree within seven years, compared to only 21 percent of students who did not use PLA. The study also found that students who earned credit through PLA saved an average of between 2.5 and 10 months of time in earning their bachelor degrees compared to students who did not utilize PLA.